Internal audits are a powerful management tool for improving the performance of an organisation's quality systems. NZOQ's Internal Auditor training offers a comprehensive two-day programme that provides participants with the knowledge and skills they need to conduct internal management systems audits. 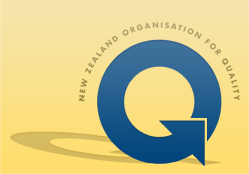 Apply now for NZOQ membership! Our 2019 membership fees are set at a very reasonable rate with undeniable benefits. NZOQ offers practical and proven training options to meet market challenges, reduce costs, and improve productivity. Working together to advance quality and excellence for New Zealand businesses and beyond. Q-zine is an electronic newsletter service from NZOQ to help keep you updated.